Interventions are not just for people. Sometimes they are for home bars too. I realized last week that my home bar was getting gnarly. A hot mess of a booze-fest, really. Over-crowded bottles spilled off of my bar cart and onto the floor, some almost empty, lightly dusted and despondent. And so Spring cleaning came late, and my cart got a desperately needed makeover. I have a problem. 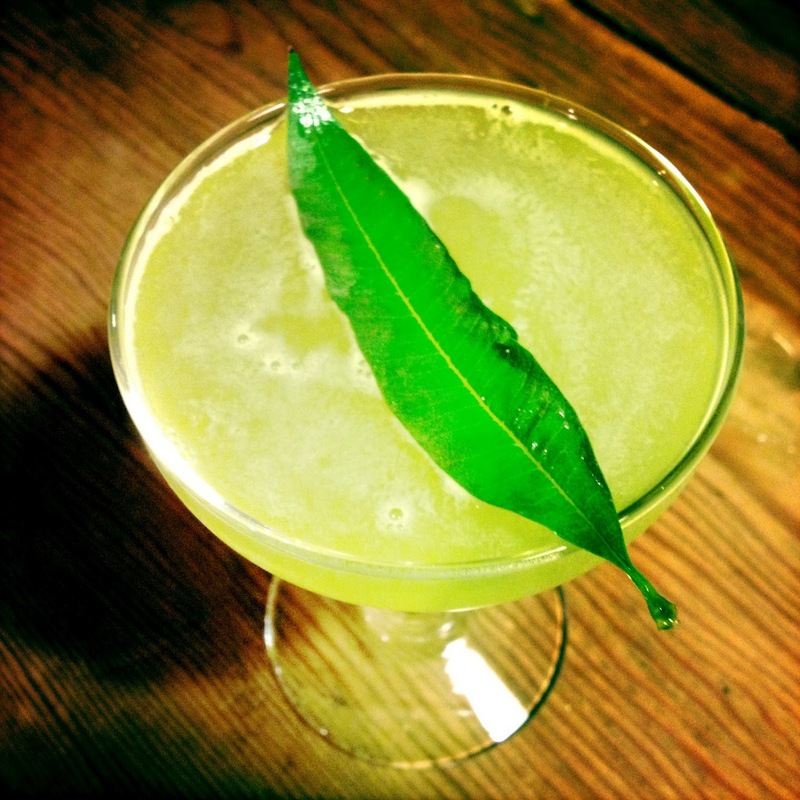 In this cocktilian age, when most drink lists contain spirits most people have never heard of, much less own a bottle of, to me it spells "challenge." I browse specialty liquor stores like I'm flipping through records. Next thing I know I have a top-heavy bar chock-full of liqueurs like Strega and Becherovka keeping a much-needed bottle of Old Overholt Rye off the farm. So in renovating my home bar, I decided to approach things from a fresh perspective. Namely, someone putting together their first home bar, with entertaining and flexibility on their mind. 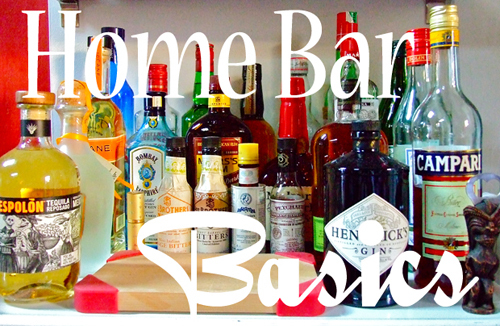 Let's be clear, setting up a home bar is better not taken on all at once. 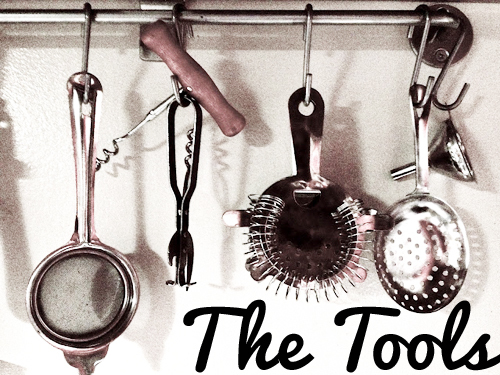 Build up your spirit and bar tool collection gradually, starting with the necessities for one or two cocktails. Expand on a need-based philosophy. Hardware. Cocktail shaker (I prefer a two-piece Boston shaker), strainer, jigger, fine mesh strainer, muddler, citrus juicer or reamer, barspoon, vegetable peeler, ice cube trays (I use Tovolos). Glassware. There are four major categories as far as I am concerned that aptly cover most cocktail needs: Old Fashioned or Rocks glass, chimney-style Highball glass, Cocktail or Coupe stemmed glass, and Champagne flute. Spirits. 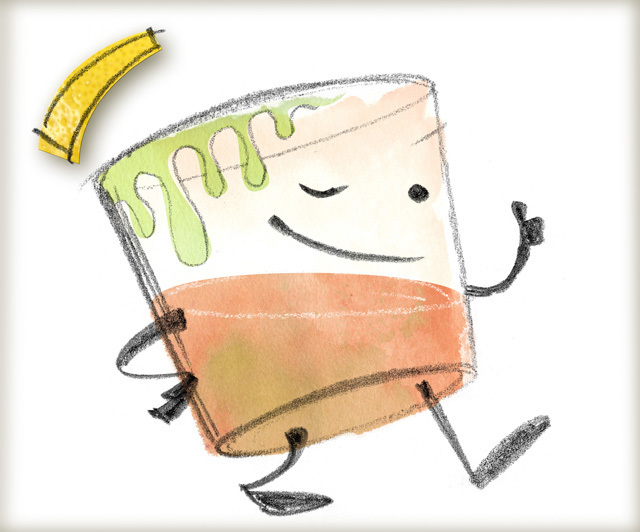 Bourbon Whiskey, Rye Whiskey, Scotch Whisky, White Rum, Dark Rum, London Dry Gin, Cognac, Reposado Tequila, Vodka. Mixers & Liqueurs. Dry Vermouth, Rosso Vermouth, Cointreau or Triple Sec, Herbsaint, Maraschino Liqueur, Angostura Bitters, Peychaud’s Bitters, Orange Bitters. Setting it up. 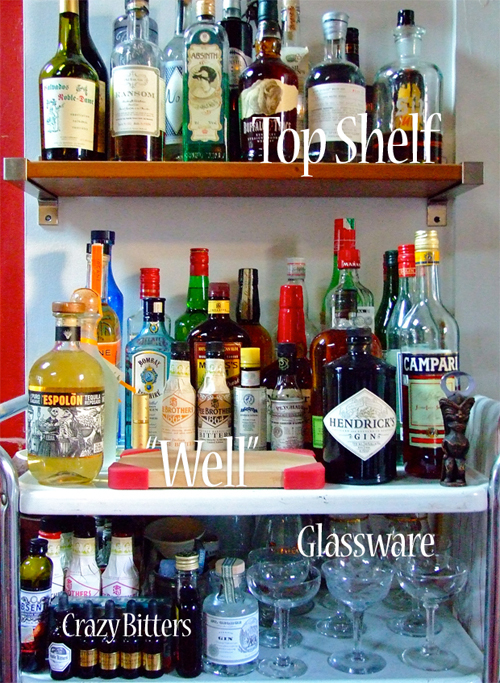 For starters, I cleared off the main work surface of my bar cart, reserving it for my "well." I installed a shelf just above this surface for my "top shelf" selections, special bottles collected over time like small-batch bourbons and smuggled Czech Absinth. Below I stowed my mixers, specialty liqueurs, exotic bitters, and spirit varietals. While liquor will keep for a long time in a cool place away from direct sunlight, remember vermouth is a wine product and should be kept in the refrigerator for a longer life. 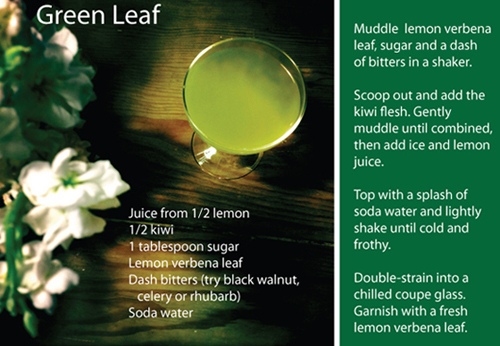 For further reading, a wonderful asset is Dave Stolte's new book Home Bar Basics (And Not-So-Basics). 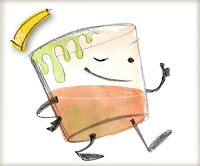 Visit his website which covers the broad strokes, priming home bar virgins with what he considers to be the accoutrements required for making the "12 basic drinks." But Rule #1 - Don't be daunted. Start small. After all, this is supposed to be fun! 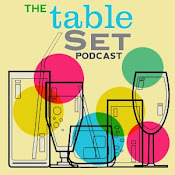 the Table Set podcast in which Greg, Andy and I discuss stocking your home bar, pantry, spice rack, and fridge for impressing impromptu guests. And introduce our new co-host - The Little Gay Record Player! Listen to The Table Set: Shumai On The Fly!